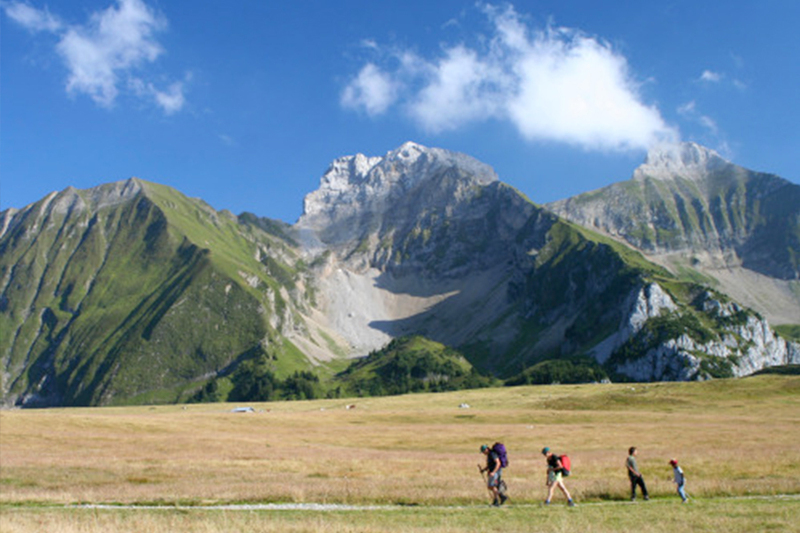 The Bargy culminates at 2100m, the ibexes, chamois and marmots make up the fauna of this Massif. The Bearded Vulture, half-raptor half-vulture, has been successfully reintroduced in recent years and can be observed by hikers equipped with twins. 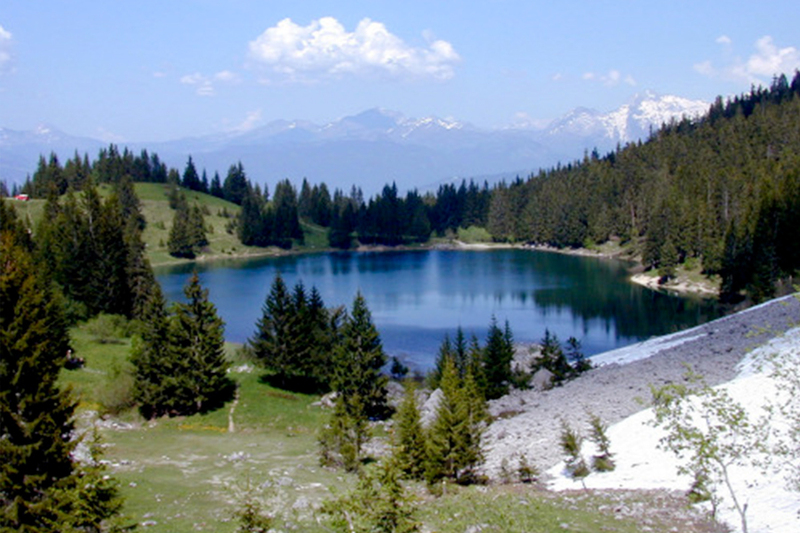 At 2h30mn walk from the tourist residence Le Jarbay/Les Glaciers, you can easily reach Lac Bénit nestled at 1500m at the foot of the Bargy. Trout fishing enthusiasts will be delighted as the climbing enthusiasts will practice their favorite sport in a dream landscape. A family walk to 1477 m from Mount Saxonnex. 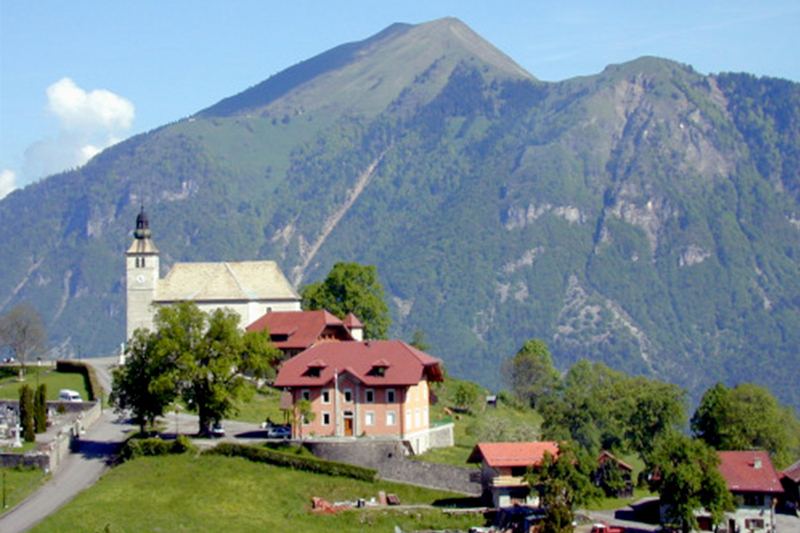 All you need to do is to tour the village church to discover a superb panorama of the Arve valley to the Jura mountains. From this lookout you can admire many 180 ° peaks, orientation to locate you. 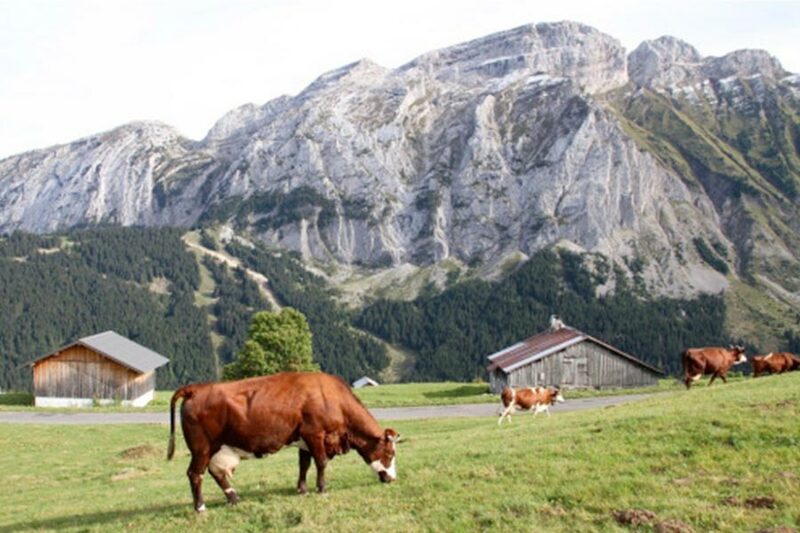 The visit of the Church of Mont Saxonnex is unavoidable, it is located on a promontory which overlooks the whole valley of Cluses until the border of Switzerland. Rental of 3 stars chalet and 3 keys labeled Clévacances.